A Lash Artist’s goal is to make your eyes look 100! As the Senior Lash Artist and Trainer of Arxegoz Beauty, I can say with great pride that our Lash Artists are one of the most professional and highly trained artists in the Pacific Northwest. For us, Lash Extensions are more than just a beauty service–they are a work of art. Let me tell you how lash extensions work and things you should watch out for at your next lash appointment. First, let’s acknowledge that while lash extensions are popular, there are still a good number of women (and men!) who have not had lash extensions. Some might have preferred lash strips over extensions, others may not have found a quality studio to trust with their eyes (which is important!). So, we’ll break down the basics here. What is a Lash Extension? Similar to how hair extensions are layered over your natural hair, a Lash Extension is a synthetic lash that is place on your natural lash from the baseline. It’s placed with an adhesive glue, which secures the lash extension to your natural lash. The lash extension usually is longer and thicker than your natural lash, giving you length and volume. How do we know what extension is right for you? Lash extensions come in many different sizes. If you think about hair lengths and hair extensions, in some sense, lash extensions are similar—they are just a bit longer than your natural length of hair and vary in sizes and shapes. Some lash extensions are a fan of three lashes on one extension. Each client or guest has different hair lengths, as well as different lash lengths. Trained lash artists choose a range of sizes to use during a guest’s appointment that is based on the length of a guest’s natural lashes and the look that guest is trying to achieve. Is your Lash Artist using Quality Lashes? To achieve a quality and proper lash set, a highly trained artist would start by doing a lash consultation. We want to get to know what style you’re going for and your experience with lash extensions in the past. This will help us find the best curl and length for your lashes and gives us a chance to educate you on proper lash maintenance. Remember, lash extensions differ for each person, so consultations are really important for a great lash experience. As much as we all would love to have long voluptuous lashes daily, unfortunately it isn’t healthy for our natural lashes. A well trained artist will tell you the truth and the truth is…..giving you the hard truth of what your natural lash sizes are. For daily wear, lash extensions should only go up 1-2 sizes up (and maybe 3 sizes up for those special upcoming events). Why? With length comes weight. A lash extension sits on your natural lash and adds some weight to your natural lash. The heaviness can break your natural lashes and that it is never pretty. If you have lash extensions that are too long, and therefore heavier, than your natural lashes (lashes that are much longer than 2-3 sizes up), it will weigh down your natural lashes and lash retention will not be good. But when done well, with the appropriate lash size and curl is selected, the placement of the lash extension will enhance your eyes, giving it a wider, more stunning look. Lash extensions are kept in trays and there are hundreds of individual extensions in there. Just like choosing the best hair extensions to wear around by feeling the quality of the hair extension, you should feel your lash extensions before your appointment–after all, you will be wearing these daily. I’ve always shared with my clients how important it is to always feel the tray of the lashes with your artist. Don’t feel just one lash extension. You have to feel the whole tray. There will be at least 50-100 lashes put on your eyes. However the lashes feels on the tray, will be the same way it feels for your eyes. If it is soft and smooth, you’ll be comfortable. If it’s hard and rough, it’s likely to be uncomfortable for wear. Putting on a full set of lashes requires anywhere between two hours to three hours. Classic lashes are single lash extensions placed on top of every single natural lash of the eye. Volume lashes are lash extensions that are three lashes per one extension.This means, one natural lash becomes “three lashes” for volume sets. This is where the art form comes in. Each of these “fans” as they are called, are hand made to create that dramatic or wispy look you desire. For Classic lashes, lash artists usually complete a full set within two hours. For Volume lashes, lash artists can take up to three hours. Fills normally lash around one hour. Whichever style you are going for, be prepared (and enjoy!) the lash nap you will most likely take during your appointment (psst, we promise our lash artists do not mind at all!). Lash extensions aren’t permanent—sorry to break your heart if you thought so! It’s a service that lasts 2-4 weeks depending on your lash growth and products used. We often meet guests who share that they love their previous lash artist because their lash extensions lasts for more than a full month. THIS IS NOT GOOD. This is a sign that the guest’s last lash extension was done with harsh glue or products that do not allow the natural lash to grow well through the natural lash cycle. 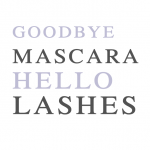 Nearly 20% of our lashes naturally shed every two weeks. Knowing this, we recommend guests to come in for lash extension fills every two weeks. This allows us to attach new lash extensions to the new incoming natural lashes so that their lashes can look full and even. This is usually a one hour visit and helps keep your natural lashes trained to retain future lash extensions. Is it possible to have a lash extension last longer than a month? While not so typical, it is definitely possible. Natural lashes have a life cycle of 60-90 days, so if your lash artist places a lash extension on a newly grown natural lash, there is a possibility. But, with daily wear, washing your face, taking hot showers, or working out, its very uncommon. If you happen to have a lash extension that lasts for more than 30 days, I’d question they type of glue used. Harsh, questionable lash glues can damage your natural lash by keeping a lash extension “permanently” on the natural lash. You’ll want lash glue that is made with quality ingredients that hold the lash extension in place while allowing natural lash growth. Clean lashes are uber important. At Arxegoz Beauty, it’s mandatory that your lashes before a full set or at your fill. By doing so, Lash Artists will have a clean lash to attach a lash extension, which helps the lash extension stay on as long as naturally possible. It also helps guests feel assured that there are no lash mites or bacteria build up that can come when lashes are not thoroughly cleaned. Some other lash care tips: avoid saunas, hot tubs, rubbing of the eye, and oily products. Clean lashes will help with retention of the lashes. Aftercare is a priority. With eyes being one of the top features that can make you look awake or confident for the day, we no doubt want it to shine. Society has groomed us to curl our lashes and layer on mascara for that extra bit of pop. With lash extensions, that routine goes right out the door, saving us time each morning. The best part of having lash extensions is NO MASCARA! Yippee! Lash extensions are addicting because we all love to wake up in the morning and look awake right away. It’s amazing what longer, fuller lashes can do to a 5 A.M. wake up time. Plus, cutting down time to get ready is just awesome. As Lash Artists, we love our job and helping people to find that lash extensions are LIFE. Have questions about lash extensions? Send us an email. We’d be happy to help you navigate through Lash Life. Lash Chief is the Senior Lash Artist and Trainer at Arxegoz Beauty in Renton, WA. She trains students on trending lash work including lash extensions, lash lifts and lash care and maintenance. You can find more of her work on Instagram at @arxegozbeauty.